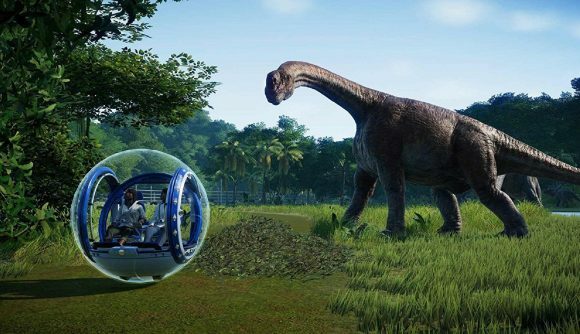 Besides a popular movie license, Jurassic World Evolution sales have one other big sales advantage over Planet Coaster sales: it was released on consoles. Yes, management games are typically the domain of PC – and about half of early sales were on Steam – but there’s a much broader range of players to reach on PlayStation 4 and Xbox One. JWE picked up one million sales in the first five weeks, and has picked up the remaining half of its total numbers in the months since. There’s more on the horizon, too. CEO David Braben says in a press release that “I look forward to providing more details about our fourth game franchise, as well as our existing franchises, in the coming months.” The launch of that new title is scheduled for this fiscal year – sometime between June 2019 and May 2020. Elite Dangerous has also met another big sales milestone, and has now surpassed three million copies sold – or 4.3 million when combined with the Horizons expansion. Frontier expects to report revenues of £64 million for the six months leading into November 30, 2018 – up from £19 million the year before.